It has been a great weekend of fundraising! The £10,000 barrier for The Sir Bobby Robson Foundation and The Children's Foundation was broken on Saturday night. Things got off to a great start on Friday with 2 talks given in local schools in aid of the 2 charities. I really enjoyed talking about my journey so far and I got some really pleasing feedback after both events. The first talk was at a PE conference held at Cramlington Learning Village. The 2nd was a 6th form awards presentation at Harton Technology College. Both slots were 20 minutes long and, as ever, it was a real challenge to get the story told in that short time. 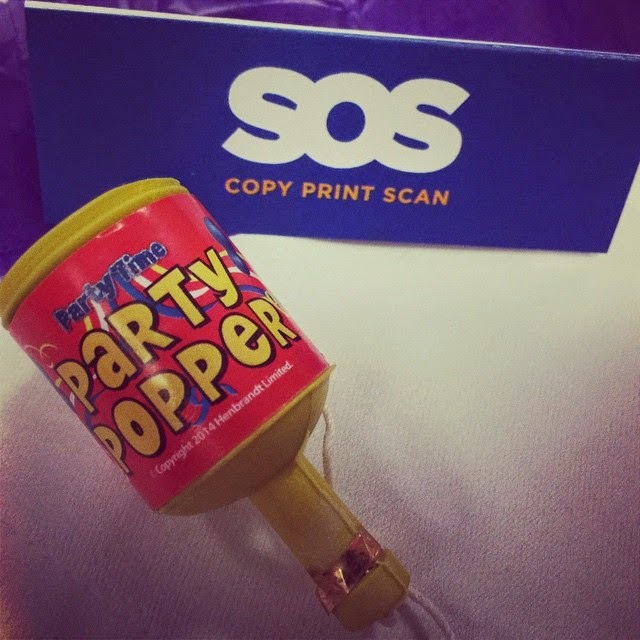 On Saturday night along with members of the Run Geordie Run support team, I was a guest at my sponsor, SOS group's, Christmas party. Director's Andrew, John and George are pictured below. 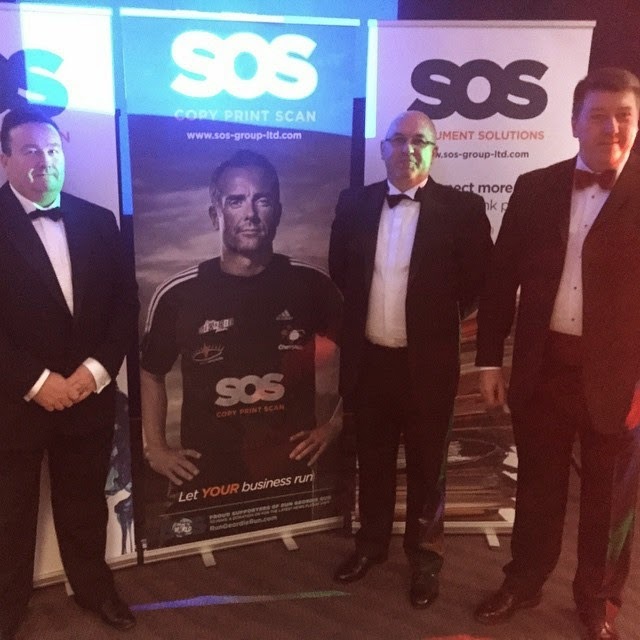 These guys have been so supportive from the outset and I was particularly surprised at the mock up of my new kit with the SOS logo in pride of place. I addressed 100 party goers on the night with a very short version of my story so far and announced that SOS Group were the headline sponsor for the European segment of the run Around The World. This news went down very well and the audience were generous enough to not only donate £1000 but also buy the surplus Run Geordie Run t-shirts and hoodies. 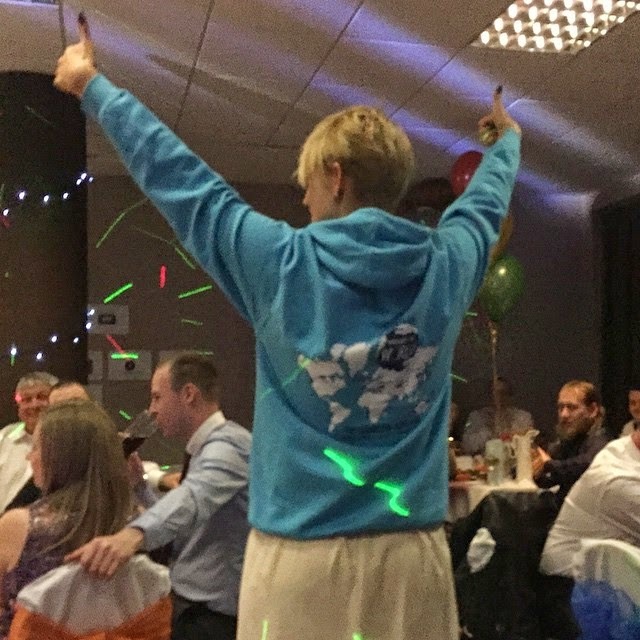 The fundraising on the night didn't stop there as I later found out that a very merry member of SOS Group staff (pictured below) took her hoodie around the party tables and asked people to sign it for a minimum donation of £5. I've got to give this lady 10 out of 10 for originality and her efforts yielded £150 for the 2 charities. The excellent news is that, with fees for talks and the proceeds from SOS group's Christmas party, the fund for The Sir Bobby Robson Foundation and The Children's Foundation absolutely smashed through the £10,000 barrier. It's only been 53 days since the announcement of the run Around The World and to say that the fundraising has hit the ground running is an understatement. It has taken a lot of generosity from the general public but the foundations for this great start were firmly laid by SOS Group. Thank you yet again to SOS Group and everybody who has bought a t-shirt/hoodie or made a donation. 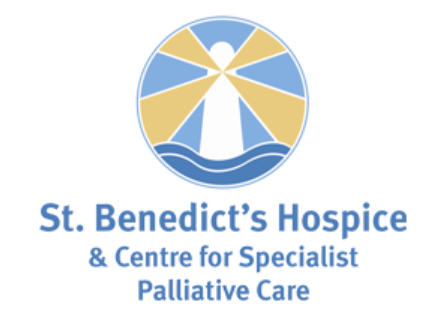 The current overall charity fund stands at an amazing £223,285.80. There is so much more hard work to be done and many many miles to be ran to break through the quarter of a million pound barrier. With this kind of start, however, that total is not beyond the realms of possibility. That said, I'm never one for taking people's generosity for granted. All I can do is put one foot in front of the other, confronting many difficult situations and share the journey with whoever would like to read, hear or watch it. If the previous 6,358 miles are anything to go by, the remaining 13,642 miles around the world promise to be an incredible ongoing journey. 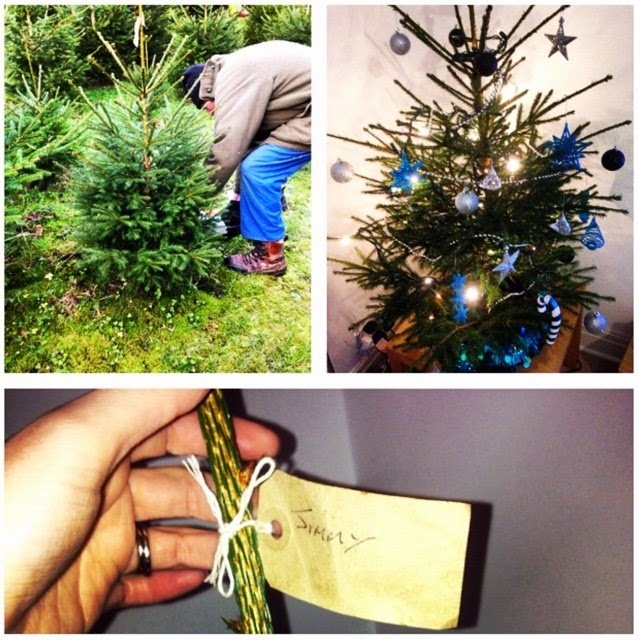 I'll end this blog post on a festive note and news of a £10 donation from the farmer who sold us our Christmas tree. While picking a tree (it was tagged Jimmy for some reason incidentally), we got talking about my running. I was pleasantly surprised when he knocked £10 off the price of "Jimmy" and asked that I donate it to The Sir Bobby Robson Foundation and The Children's Foundation. Happy Christmas indeed!